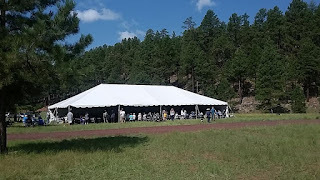 In all my years of being knee deep in science here on the Colorado Plateau, I have had the great opportunity of attending many science conference all over the place, and the Pecos Conference was by far the best I have ever seen for so many different reasons that you will hear all about during this episode. So please, come take a field trip with me out to base of the San Francisco Peaks in northern Arizona, where the Pecos was held this year. And for those that might not know, the Pecos Conference is a southwest archaeology gathering and has been going strong since the 1920's. 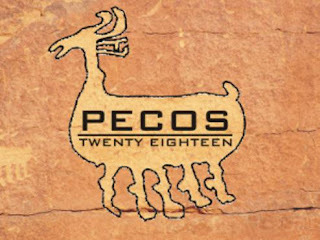 Hear from some of the attendees and organizers as they share memories of the Pecos, their research, and their hopes for the future of this truly unique and worthwhile science conference. The main tent of the Pecos, where all the magic happens. Special thanks to Archaeologists Michael Terlep, Kim Spurr and David Purcell for making it happen, and truly hope to do more field trip episodes in the future. And a deep thanks to all the folks who lent their voices, their memories and their passions to this episode. I think I had enough interviews for two programs, and can't thank you enough.